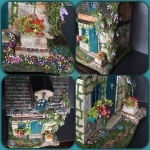 Birds & Butterflies are little creatures you'll see peeping around this cute little cottage! It has been electrified so all of the lights and the outlets work. - The roof tiles, stones and brick and even the grassy base are all created using creative paperclay. 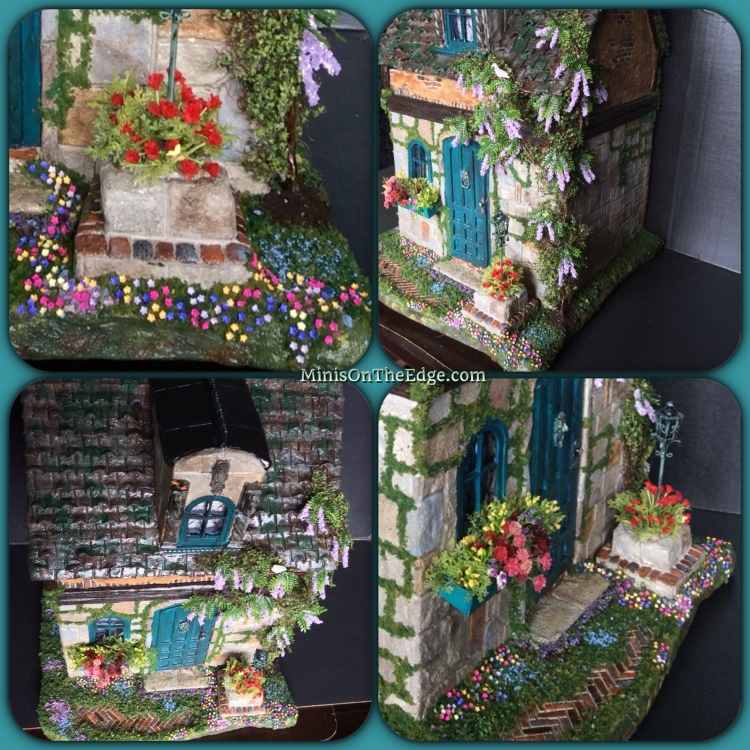 I hand sculpted and then hand painted each and every shingle, stone & brick various colors to create the realistic & fantastical dream cottage you see pictured here. The stones, brick and Stucco are sculpted directly on the wood from clay & weighs only 8 pounds! Notice the hand made Wisteria Vine and over 100 tiny colorful flower petals scattered across the front of the yard! 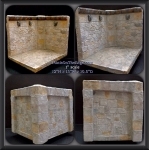 - This house is 1" scale and the measurements are 14" W x 19"H x 14 1/2" D (including the yard). This house is 1" scale (1" = 1' scale). This house will be professionally packed and shipped. Please contact me with any questions you may have. 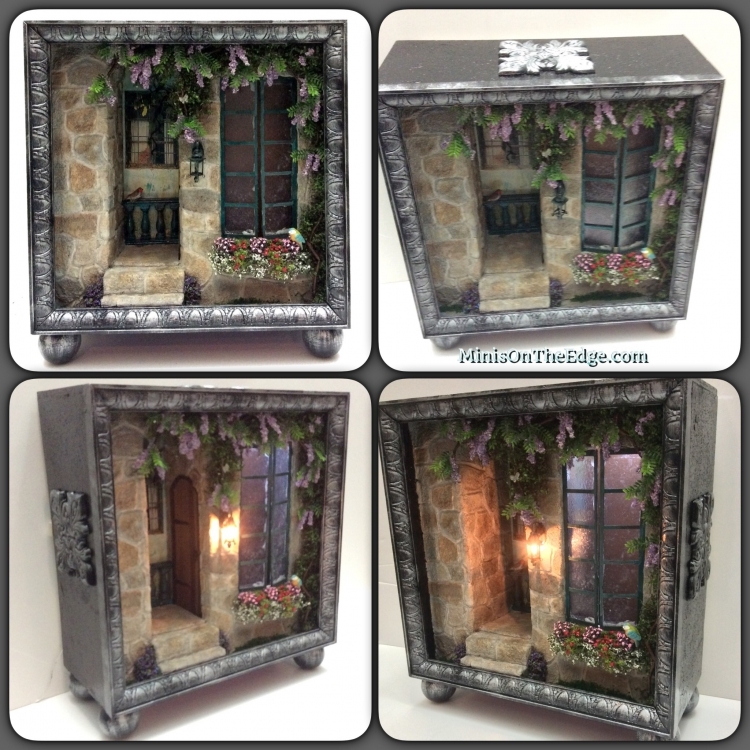 This is a Beautiful Custom Roombox that was originally a Tuscan Villa scene by Erik Goddard. I added sculpted stones and flowers to change the scene. This is a 1" Scale Item and is ready for purchase. If you have any questions, please feel free to contact me. This item is ready for purchase. It features dragon designs as seen here and has hand sculpted and painted stones. 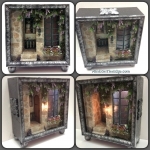 This would be perfect for any of your dollhouse miniature scenes. If you have any questions, please feel free to contact me. California residents must add and extra $25 to shipping cost.